OUSTER—a putting out, ejection or removal from possession or enjoyment of an estate, franchise or office. See Black’s Law Dictionary (4 th ed. 1968), page 1253. Sam Ridley in 1980 was believed to be the longest serving city official in Tennessee. He was first elected to the Smyrna city commission in 1947. Knox Ridley on the left, Sam Ridley on the right. Smyrna was his town from the airbase to the Ridley Chevrolet dealership. City “insiders” drove Chevrolets and could actually distinguish between Sam and Knox, his twin brother. A decorated World War II veteran who served in an armored division under Gen. Patton, Sam was well liked by most of his constituents. “He made Smyrna grow,” said many, and this meant jobs and income. The Nissan assembly plant, sited south of town in 1980, further enhanced his political equity. But Sam Ridley had his critics. In August 1980, Neal R. Odom, operator of the Smyrna Water Treatment Plant, filed an ex relatione (commonly designated ex rel.) lawsuit against Mayor Ridley. (Such a case is instigated by an individual on behalf of the state.) See Town of Smyrna and the State of Tennessee ex rel. Neal R. Odom v. J. Sam Ridley (TN Chancery, Murfreesboro), filed August 27, 1980. Odom alleged that Ridley violated Tennessee conflict of interest statutes (1) by selling vehicles to the city through his auto dealership, (2) by servicing and repairing city vehicles at his auto dealership and (3) by charging personal expenses on a credit card account paid by the city. The complaint itemized 20 alleged car sales where a third party was involved “in an effort to conceal (Ridley’s) interest in the transactions.” Ridley Chevrolet would transfer a vehicle from its Smyrna inventory to Jackson Brothers Chevrolet in Murfreesboro. The Murfreesboro firm would then sell that vehicle to the town of Smyrna. Odom also listed Ridley Chevrolet repair bills to the city amounting to $43,084.86 over a three-year period. Over the same period, the complaint identified about three dozen instances where Ridley had allegedly charged personal expenses on a city credit card. These alleged charges included purchases at area retailers, restaurants, motels and out-of-state travel (including a trip for his daughter’s wedding). The applicable conflict of interest statute in 1980 was TCA 12-4-101. It provided in pertinent part that no city official may have a direct or indirect interest in any city contract or payment if his duties include any discretion or responsibility relating to the contract or payment. A related statute further provided for restitution “which action may be prosecuted by any citizen” of the municipality. See TCA 6-54-108. Nashville attorney Henry Haile represented Odom and the public entities. Mayor Ridley was defended by Murfreesboro attorney Granville S. R. “Buck” Bouldin. The matter came to trial in August 1981 before Chancellor Edward Turner from Smith County. Ridley’s defense to the entire case, according to the appellate record, “consisted primarily of character witnesses and an attempt to show that… Odom did not like him.” (One character witness for Ridley recently speculated that Odom and Ridley had been at odds over some water-service commitments that had been made to the Nissan plant.) A Murfreesboro jury of 10 men and two women found in Ridley’s favor on the car sales issue, but ruled against the mayor on the auto repair and credit card allegations. On the same day that the trial results were announced, the Smyrna “city coordinator” (Knox Ridley, Sam’s twin brother) terminated Odom from his position at the Smyrna Water Treatment Plant. Odom promptly filed a federal lawsuit alleging that he was fired in retaliation for his role in the ouster lawsuit. (According to a 1987 report in the Chicago Tribune, Odom eventually received a $345,000 jury award.) But Sam Ridley did not leave office in 1981. He appealed. On May 6, 1987, the Tennessee Supreme Court affirmed the ruling of the trial court. Ridley immediately announced that he would resign before enforcement of the order “ousting him from office for violations of state conflict-of-interest laws.” See Daily News Journal (May 7, 1987), page 1. 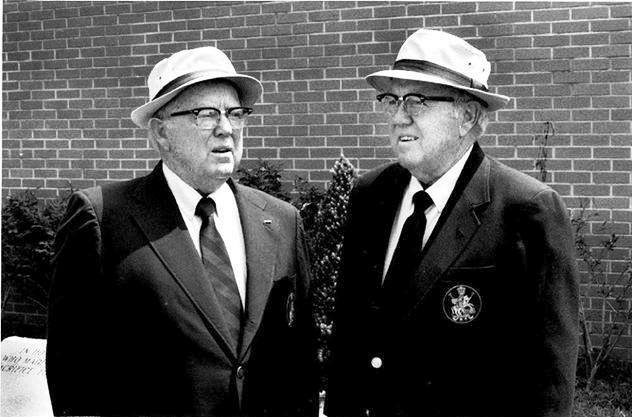 The Smyrna city commission accepted Sam Ridley’s resignation on May 12, 1987, and immediately appointed Sam’s twin brother, Knox, as the new mayor. Knox served the remaining two years of Sam’s term as mayor and was re-elected for an additional four years. Although Knox was serving as “city coordinator” and was a part owner of the Chevrolet dealership during the time addressed in the conflict-of-interest lawsuit against Sam, there was no further litigation. The national news media reported widely on Smyrna and the Ridleys, often with humor or sarcasm. See, e.g., Oklahoman (5/29/87): “Tennesseans Seein’ Double”; Chicago Tribune (7/12/87): “In Smyrna, Tenn., One Can’t Be Sure He’s Talking to the Mayor.